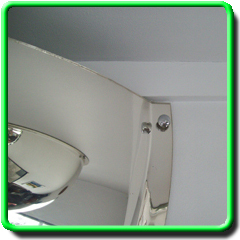 The Half Dome Safety Mirror comes complete with dome capped screws for mounting to walls. Designed specifically for T-Junction intersections to reduce accidents and improve work flows in offices, warehouses, hospitals and schools. 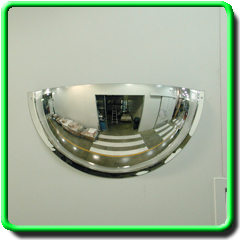 Manufactured using only virgin mirror grade acrylic for the best quality reflection.